Laborers are seen carrying imported goods for customs clearance in this recent photo taken at the customs office in Birgunj, along Nepal-India border. Customs officials and traders of Birgunj have said that after the imposition of international goods and services tax (IGST) for Indian traders and export-import codes (EXIM Code) for Nepali traders, a harmony has been created in trade between India and Nepal. This will promote formal export and import between the two countries, they have said. The ordinary bills that the Indian traders were using to export goods will no more be valid now. The implementation of IGST that recently came into effect in India for export has encouraged large-scale traders. This will encourage the Indian exporters to trade only through formal channels because they will not get reimbursed for the tax if they trade informally. An Indian firm or dealer should have an authorized code and the transaction should be made only through the banking channel, customs officials said. The new provision in trading allows only authorized traders to trade. Officials of both sides have said that it will help end the problem of under-invoicing. Nepali importers should post a deposit of Rs 300,000 to receive EXIM Code and this came into effective from mid-July. Small-scale traders will not be allowed to export and import without fulfilling this requirement. 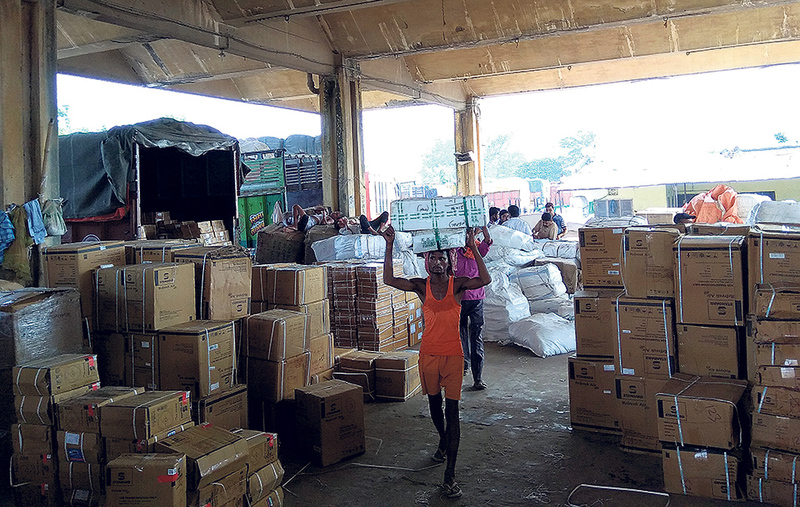 Previously, authorized firms for import and export were evading value added tax (VAT) as they did not renew their firms but they cannot do the same hereafter, officials of Birgunj Customs Office said. Santosh Yadav, information officer of the Birgunj Customs Office, said that only 9,000 firms nationwide have taken EXIM Code permission by posting the deposit of Rs 300,000. Earlier, in absence of Exim Code requirement, 83,000 firms used to import from India. “Only professional traders have received the code and this is an early indication of positive result,” Yadav said. Anybody can import goods worth Rs 50,000 for personal use by paying tax, but such import by authorized importer is forbidden. Small-scale traders are in a state of confusion due to this provision. Some of them have said that the provision of depositing Rs 300,000 affects them and they cannot remain in the profession anymore. Chief of Birgunj Customs Office Sebantak Pokharel said that GST rates for exported goods from India differ from the locally consumed goods, indicating that the goods imported from India will be cheaper. “And traders have now used preferably formal trading because India has made IGST bills a must to export while Nepal has implemented the authorized EXIM codes for import and export,” said Pokharel. Nepali importer Pradip Kediya, who is also former president of Birgunj Chamber of Commerce and Industry, echoed Pokharel: “The implementation of new trade rules on both sides has modernized the bilateral trade. Now unauthorized trade will come under control and formal trade will be encouraged. It will also help eliminate the problem of under-invoicing,” said Kediya adding that Nepali traders did not have to worry. Unauthorized trading and under-invoicing has been cutting the purse of government revenue since long.